With no gallop fees and very competitive training rates we offer fantastic value for money. Unimpeachable reputation for honesty, morality and transparency. Consistently increasing performance figures highlighting a hastening upwards trend. I have had different horses trained by Seamus for the last 7 years and during this time I have worked closely with Seamus and his team. I can totally recommend having a horse trained with Seamus because of his totally commitment, enthusiasm and training skill. 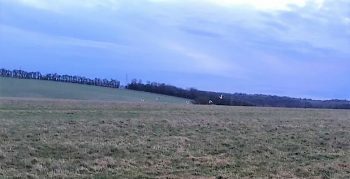 I often go down to Wilsford stables early in the morning to watch my horse go up the gallops, Seamus and his team make me feel welcome and very involved. Seamus purchased my current horse called Arthington from Doncaster un broken in 2016, thanks to his expertise eye, his training skills and commitment “I am living the dream” as we have to date in his first year, won 3 races and come second 3 times and we had a run at the Cheltenham Festival 2018. Seamus and my paths first crossed back in the late 1980’s at the happy Fyfield yard of Toby Balding – he was an able bright ginger headed amateur jockey and I was a stick thin rookie syndicate manager so it wasn’t yesterday! He managed to win at Wincanton on a little mare we had, Reach me Down, for our first syndicate, The Rumble Racing Club, and we have been friends since. 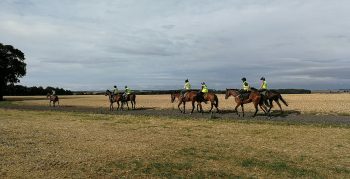 In many ways life at Wilsford reminds me of those days – a homely feel, individual attention to the horses, loyal staff and the chance to get involved with the horses as much off the track as on it. We’ve been lucky enough to have some success on the track too with Glenarm and Glenariff doing well for us before Chesterfield gave us all our biggest racing day when winning the 2017 Scottish Champion Hurdle on a memorable sunny spring afternoon. It's been great to watch the yard grow, invest in it’s success and move up the ladder in recent times. If Seamus gets the horses he deserves to train I’m sure that will continue into the future. 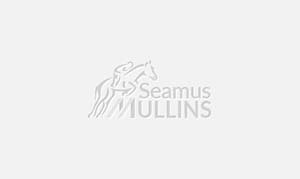 We have had horses with Seamus since 2003, and have had the usual good and bad luck, that goes with owning and breeding racehorses. In all that time we have enjoyed excellent relationships with the staff at Wilsford, and have particularly appreciated Seamus's willingness to adjust our horses racing program to fit in with our professional and business commitments. Seamus has been most helpful, having our youngsters from an early age, for short periods to educate them before breaking them in and training them for us. 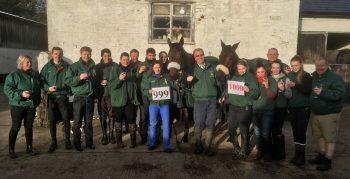 There is a warm welcome at the stables at any time, and we have really enjoyed our long period of ownership with Seamus. Purchased privately as a 4yo. He has progressed through bumpers and hurdles and now onto chasing. He is a fantastic natural jumper who has proved to be a very competetitive over longer distances and will continue in this sphere. A superb young 3yo, lightly raced in Ireland and showing great progression, culminating in a very solid second in a Gowran maiden against strong opposition from top yards. He is a half brother to five winners inlcuding recent maiden hurdle winner “Easy Gold” who won by an impressive distance for Willie Mullins. He is a lovely type with all the right attributes. 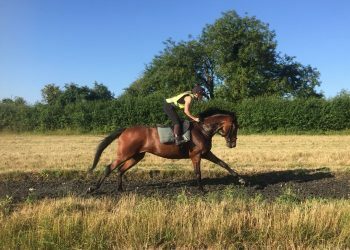 A homebred gelding who joined us in the summer 2017. The move of yards obviously agreed with him as he won four in a row over hurdles last year and has been placed several times since. Although hurdling at present he is a future chaser in the making. A troubled boy who took 27 runs, with several trainers, to break his maiden. He is now somewhat of a Plumpton specialist winning on the bounce. Kastani continues to be a fantastically great fun racehorse. He has been at Wilsford since 2013 and has been a firm yard favourite since the day he arrived. He has a fantastic nature and always gives his best on the racecourse giving his owners a huge amount of pleasure. Purchased spring 2017 at Cheltenham sales. He ran with credit at high level in juvenile hurdles and ended that season on a high note winning valuable plumpton handicap hurdle. Placed several times in 2017/18 with another win in June 18 at Fontwell. He will continue over hurdles and fences with more wins to come i’m sure. Purchased as an unbroken 3 year old at the Doncaster August sale in 2016. Competitive in three bumpers and is unbeaten over hurdles to date. He will continue over hurdles for the rest of the season. An exciting novice prospect for the rest of the season. 2017 Scottish Champion hurdle winner amongst other top class handicaps. Although not winning over hurdles last season (won a jumpers bumper at Kempton in March 2018), was placed at the highest level on each occasion, including the Scottish Champion Hurdle again. He will make his debut over fences this season. Purchased as an unbroken store from Tattersalls August sale 2017. Broken and turned away for a short break before coming back into training to be prepared for bumpers. She fully obliged coming a very good 3rd behind more experienced horses on debut, winning second time out very nicely and going to to run very credible in graded company. She is a really nice type who has a bright future ahead of her. German flat winner purchased November 2016. Having had an interrupted start to his jumping career in England, his owner’s patience looks like being rewarded as he has already been placed in his first run this season. He will stay novice hurdling this season. Scopey scorpion gelding who was a good fourth in a bumper at Ascot on his debut. He will start in bumpers this season and progress to novice hurdles. An exciting prospect! A homebred gelding who joined us as a yearling in 2012. He is the ultimate dual-purpose horse having won at all three disciplines. He holds a 66% win and place strike rate! A homebred mare out of the good race mare Kentford Grebe who won the EBF listed Mares Novice Handicap Hurdle Final at Newbury in 2004. She ran in a few races last term and showed us enough in her final run to warrant continuing this season Sher will run again in bumpers and go on to novice hurdles this season. Consistent novice handicap hurdler who has been placed on 5 occasions including a good 2nd in June at Stratford. Sure to win handicap hurdles before going chasing in time. A home bred gelding who has shown us plenty on the gallops. He is out of a very successful family with winner right through the page. He will have a 2yo campaign on the flat before a holiday to allow him to develop further for his 3yo career. He will make a nice dual purpose horse in the coming seasons. 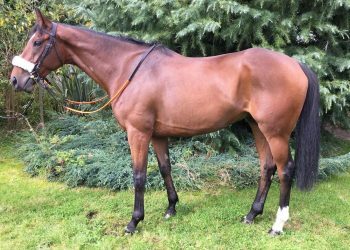 Joined the yard in April 2017 having won a Point to Point and been placed in a bumper in Ireland. 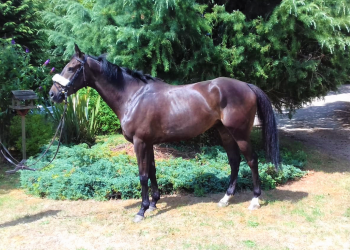 Since joining us he has grown in confidence and gave his very patient owner a career first win in a handicap chase at Fontwell in August 2017. He will continue chasing for the remainder of the season. Romanor is a fairly useful performer on the flat who has now made the switch to hurdling. He proved a little keen in his first efforts and needed time to relax. Once calmed he has shown how progressive he can be winning on 3 occasions last term. He will continue over hurdles. Ormskirk was bought by us at Tattersals Ascot in 2017 with the client in mind. The Morgan’s were looking for a horse for their son Luca to ride in a races both on the flat and national hunt. We started in 2m1/2f handicap at Southwell with Luca on board and moved on to hurdles culminating in a win in his last run last season. Blackdown Hills won her bumper in May of 2015 before going novice hurdling. 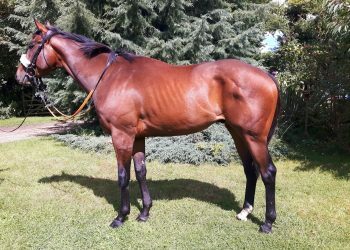 She join us here at Wilsford in the summer of 2017 halfway through recovering a non life threatening injury, she has now fully recovered and has developed into a useful novice hurdler winning twice this summer. She will stay over hurdles in the short term but destined to go chasing later this season. Bought from the John Ferguson / Bloomfields dispersal having won two bumpers and placed second in the other two. His two starts over hurdles for me saw him finish close second at Worcester and fourth at Southwell. He will continue over hurdles at present but is a future chaser in the making. A homebred gelding who joined us in 2013. A consistently placed and winning in chaser who took time to build into his substantial frame. He will continue chasing and is a likely winner when the ground is soft or heavy! Purchased by Seamus from the Tattersalls Ireland August sale as an unbroken 3yo in 2015. 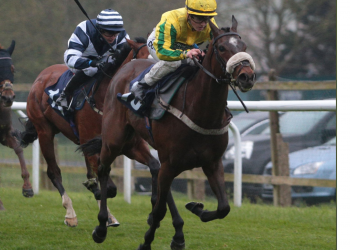 He has progressed well through bumpers and novice hurdles, winning at Uttoxeter at the end of last season. He is a long term chase prospect with a bright future. Impressive bumper winner of an 11 runner field first time of asking at Carlisle on 5 April beating two previous bumper winners and the well fancied Trevor Hemmings owned, Venetia Williams trained gelding. An exciting prospect for novice hurdles and will make a top class chaser in time. Good handicap hurdler who missed most of last season due to an injury. He returns this season and although 11 years young he is still showing his old sparkle on the gallops. Purchased privately as a 3 year old having point to pointed without success in Ireland. He is an ultra-consistent performer who has won or been placed in over 50% of all races run to date. He will continue hurdling and chasing and giving his enthusiastic owners a lot of fun! Winner on his debut in a bumper at Towcester in 2017. He is a gentle giant of a man, that took till some time to develop into his substantial frame. He will improve further with time and is a great future chasing prospect. 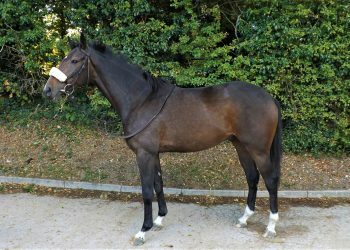 A great fun flat filly who has been started in maiden and novice company and progressed on to handicaps. She won her first race at Brighton in April 18 and i’m sure it won’t be the last! Avery successful SMRC member in 2016/17, she won or was placed on all starts in her first season. Caloona racing purchased her at the end of her lease and she continued to improve being placed in graded and listed company. A homebred mare. An ultra-consistent performer having crossed the line in front eight times. She will continue handicap hurdling with the view to going novice chasing later in the autumn. Purchased from Germany November 2016 having won on the flat. Performed well in juvenile hurdles last spring having been placed twice and running with credit at the Cheltenham and Aintree Festivals. Purchased from Tattersalls August Sale 2014. Won on her bumper debut at Fontwell in June 2015. She is a natural hurlder and has won five hurdle races to date. 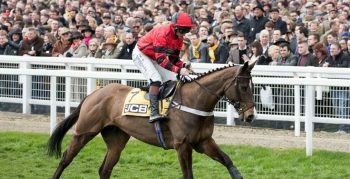 She will continue hurdling at present but will go chasing in the future. 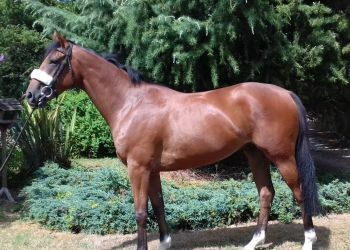 A homebred hurdle winning mare who has had an extended period off the track due to injury. Now back in training with a view to going novice chasing this Autumn. Mogestic has been a fantastic servant to us since joining us in 2014. He has is a 2.5 – 3m hurdling specialist and always pleases season on season. 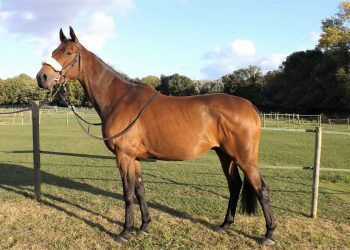 Nelson is a tall rangy horse who came off the flat, he needed time to relax into life as national hunt horse. His talent shone through as he won twice at the end of his last term. He had a brilliant summer and will continue to progress this season. An ex-flat horse who progressed to win over hurdles early this summer. Back in training and will continue over hurdles for the remainder of the season. Hurdle winner, who due to injury only had 4 runs last season. Finished a very respectable 4th on his debut at Worcester and will resume in staying novice chases this autumn. 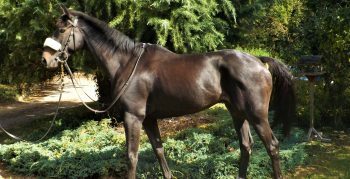 A progressive mare bought off the flat in Germany who won twice over hurdles last season and will continue over hurdles. From the top calss family of See You Sometime he has given his present owners, Clive and Pat Dunning and myself a great amount of fun. He has won 7 races and has been placed 17 times winning over £75,000 in prize money. A rare chance to buy into an established high grade chaser!